You won’t find a better guide to how to adopt his healthy lifestyle. All the science is explained simply and after reading it you can feel confident applying the principles and working out what approach will work best for you. Goodbye to counting calories and hello to never stressing about your relationship with food again. It’s not easy at first but it is worth it, for weight loss and health benefits. 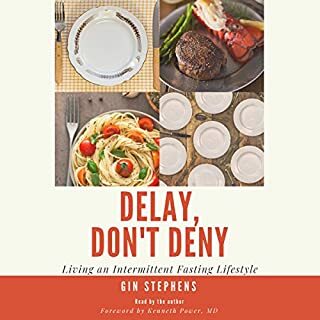 Gin Stephens is a great guide and listening to the book is like a true friend chatting with you . Loved this book.